Preheat oven to 325. Coat oven safe pan or 9” x 9” with 1 tbsp of olive oil. Mix all ingredients together. In a large bowl mix veggies, sauerkraut and thousand island dressing and pour into pan or dish. Cover with cheese Place in preheated oven for 20 minutes or until hot and cheese is melted. Makes around 4 servings as a side and 2 servings as an entree. The Faithful & Fit Plan is an all-encompassing, online health program designed to help you get (and stay) healthy! Michelle Spadafora is the host of Faithful Workouts and The Fresh Table which air on DirecTV. Her heart is to see men and women live strong, healthy and “full” lives as described in John 10:10 so she developed the Faithful & Fit Program! And the best part? It’s completely FREE! One of the greatest ways to improve your health is to eat more vegetables. 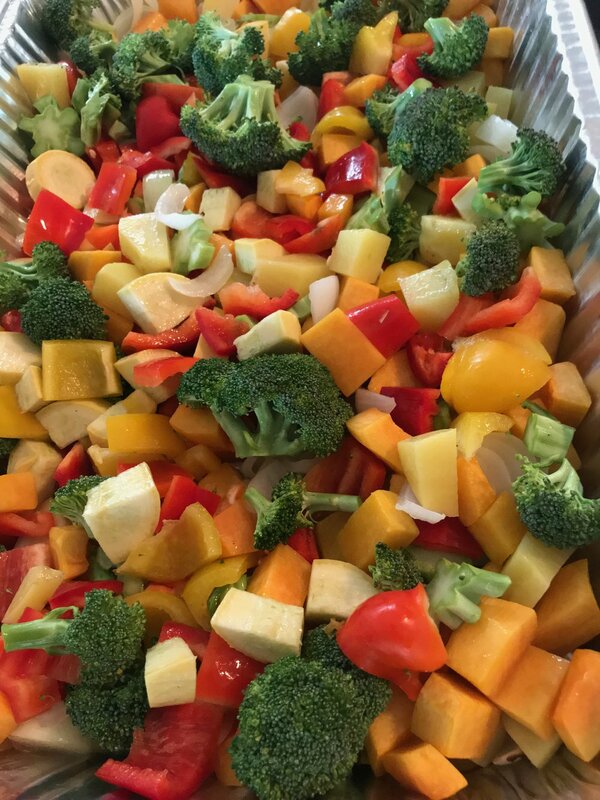 What really helps me is I cook up a bunch of vegetables at the beginning of the week and then I have them ready to add into soups, salads, fajitas and so many other recipes. I typically roast my vegetables by preheating the oven to 425°. I cut the vegetables into bite sized pieces, add a bit of olive or avocado oil and a little salt and cook until they are just soft. some vegetables take a bit longer so if I have hard vegetables like butternut squash or sweet potatoes I typically cook them for 15 min. and then add the rest of my vegetables. In the summer it's great to prepare the vegetables on the grill! I have a grill pan that I love to use.